So much of the discussion about long-term care in this country is focused on the patients and the payments. That makes sense. Long-term care can be very expensive and it has an inestimable impact on the lives of the elderly who need it. In giving those issues the attention they deserve, though, we mustn’t overlook one invaluable piece of the senior-care puzzle: the voluntary family caregiver. 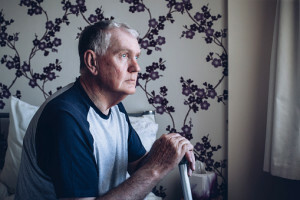 About Health tells us that more than 22.4 million Americans are providing some form of informal, unpaid care to elderly or disabled relatives. Their efforts are noble but they can also be incredibly stressful. We also know that the majority of visits to doctor’s offices in this country are stress-related. Stress is a real concern and a verified cause of illness. It is important, then, for caregivers to set a moment aside for serious self-assessment. About Health’s resource index also includes private care aides, skilled nursing facilities, and adult daycare options. Staying in strong physical and emotional health isn’t important for only the caregiver. The elderly recipient of care also needs somebody who’s staying in good spirits and good health. If you’re caring for someone at home and feeling a little overwhelmed, please know that it’s normal and that you aren’t alone. Allow yourself to take a deep breath and create some “me time.” If you need outside help, don’t be afraid to ask for it. Remember: you can’t help anyone else until you’re taking care of yourself too. Amy Grant has made a career out of inspirational storytelling in song, earning six Grammy awards and more than thirty million record sales along the way. She’s one of the best-selling female recording artists of all time, but now she also has a new job title on her résumé: long-term care provider. Grant’s parents were each diagnosed with different but severe forms of dementia late last decade. Her mother passed away in 2011, an experience that informed most of the songwriting on Grant’s most recent album, released in 2013. Her father, meanwhile, still suffers from dementia so profound that he has lost nearly all his ability to communicate. “Frame your experience in a way that gives meaning to what you’re going through.” Grant said that the key for them was finding a silver lining in an otherwise trying experience. “This is the last great lesson that we’ll learn from our dad,” she says. Spread the responsibility. Grant recommends making a list of all the people to whom this aging person matters. Rather than allowing an excessive burden to fall on just a few shoulders, encourage extended family and friends to realize that they’re a part of the puzzle too. She concedes, though, that relating to someone with dementia can be challenging for some family members, especially youngsters. Start preparing to fund long-term care as soon as possible. While Grant’s dad was a successful doctor and she herself has gone on to enjoy superstar fame, she recognizes that most families aren’t as fortunate. She stresses the need for parents and children alike to consider insurance and long-term care planning, even if everyone in the family is still in good health. Her advice is well taken, and it is nice to see someone in the public eye shine a light on the need for long-term care planning, even as it comes in the midst of her personal sadness. For more of Grant’s eloquent and inspiring story, watch her Guideposts interview online. I always love to see major media outlets shine a light on elder care. Not long ago, “The Today Show” aired a wonderful segment about long-term care, encouraging young people to take it seriously and start learning about it now. Carol Levine, author of Planning for Long-Term Care for Dummies, joined the hosts to talk about the changing face of long-term care in the United States. Care plans that are based on what people need, not on institutions’ needs. But some things don’t change. Long-term care is still confusing and still very expensive. “Today” cited costs that span from $40,000 to $75,000 a year —sometimes higher. Often, it’s the families that end up paying for most or all of that. Levine’s basic advice is golden. Do your homework, she says, and begin now. She suggested starting small. Make your parents’ homes safer, more accessible, and more fall-proof. 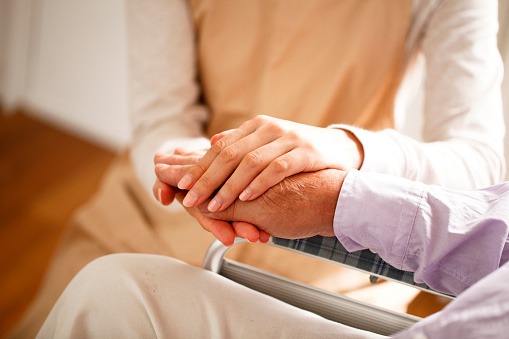 Falls often trigger an early need for elder care. From there, you can start to put together a financial plan that might include savings accounts, trusts, long-term care insurance, retirement funds, health insurance, and more. Like most things in life, long-term care is a mountain best scaled one stone at a time. Starting early is the key. If you’re feeling overwhelmed or have any questions whatsoever, don’t hesitate to pick up the phone and ask. I’m more than happy to help.